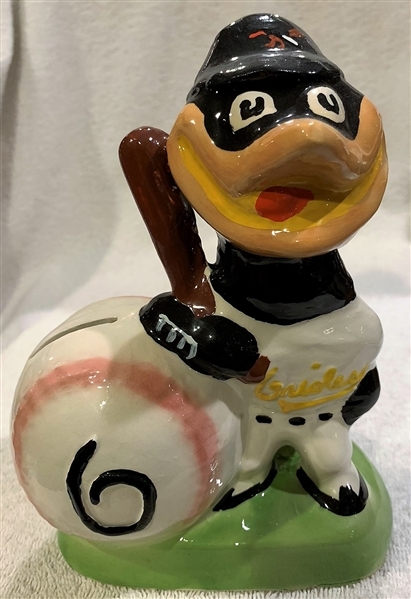 This tremendous looking bank is of the Baltimore Orioles mascot and it is from the hard to find large sized Gibbs-Conner series. 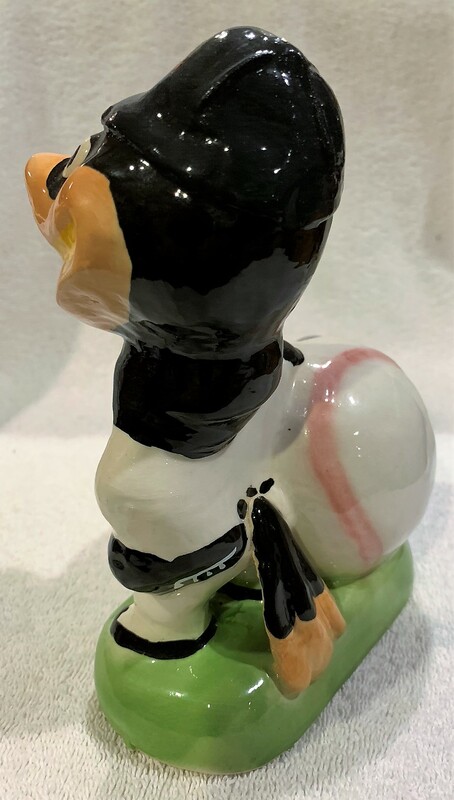 It's about 7" tall and the mascot stands next to a large-sized baseball. The coloring is about as bright and clean as can be. There are no chips or cracks and it would grade a strong near mint. This is a super rare bank and one of the most beautiful figural pieces you will ever see.